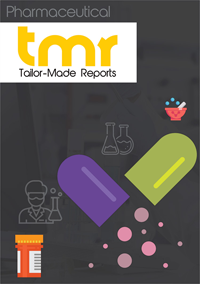 The global continuous manufacturing market is anticipated to gain impetus due to the development of the pharmaceutical industry. Other important factors that could enhance the growth of the market could be quicker availability of reliable products, less production cost, and less time investment. However, lack of regulatory and technical clarity is predicted to put brakes on market growth. Besides this, cleaning validation concerns and global regulatory uncertainty could hamper the demand for continuous manufacturing in the coming years. Nevertheless, the world continuous manufacturing market could bolster its growth on the back of powerful opportunities birthed on account of projected growth in generic manufacturing and industry-academia collaborations. Products manufactured with the help of continuous processes have been receiving FDA approvals at a rising rate. This could also act as a favorable prospect for market players. There could be various products available in the world continuous manufacturing market: controls, semi-continuous systems, and integrated systems. Amongst these, integrated systems are envisaged to secure a strong position in the market. Their purpose is to integrate different pharma processes in a single system, which helps save a whole lot of time and cost. They could convert raw materials into final products by allowing end-to-end manufacturing. With a view to improve their footprint in the international continuous manufacturing market, players are expected to be involved in different business strategies including acquisitions, partnerships, joint ventures, agreements, high expenditure on research and development, market initiatives, clinical trials, and new product launches. Players could find promising prospects arising from the higher share expected to be grabbed by full-scale manufacturing firms in the near future. CMOs and pharmaceutical manufacturing firms could increasingly adopt continuous manufacturing to find solutions for challenges pertaining to operational costs, drug supply, and product quality. The market could also witness a high adoption of continuous technology by these firms. While the pharmaceutical industry has been hesitant in embracing continuous manufacturing, it is no denying the technology will make headways as the companies realize the benefits it offers. On May 8, 2017, Bosch Packaging Technology announced introducing the Xelum platform to support the continuous manufacturing of oral solid-dosage (OSD) forms. The platform encompasses dosing, granulating, mixing, and tableting in a continuous process. The Xelum platform will use the granulation technology developed by Hüttlin – a Bosch subsidiary. Using the technology, it will produce a unimodal particle size distribution, tableting properties, and good flow of granules, besides the high product yields.